“The moral of the story is….” would be a way to finish off a review of these three stories by Koda Rohan, a 20th century Japanese novelist. I got this book when I first got into reading books by Japanese authors like Yukio Mishima and Yasunari Kawabata, however I never picked it up for long, as the idea of having to deal with a samurai story was just a bit too much. “Encounter wit a skull” was my favourite out of these stories, and also the shortest of them. It’s about a wanderer who wants to take a dangerous journey over a mountain in bad weather and meets a mysterious young woman living in a lonely mountain hut and goes on cheerfully with their discussion as to who should get to sleep in the bed or stay awake – the poor stranger who’s a guest or the young woman. It was quite funny until you get to the end of the story. The last story, “The bearded samurai” reminded me the Lord of the Rings, though I doubt anyone else would see the resemblance. Here we have the story of a samurai who has been captured and is telling his story as he awaits for a capital punishment. 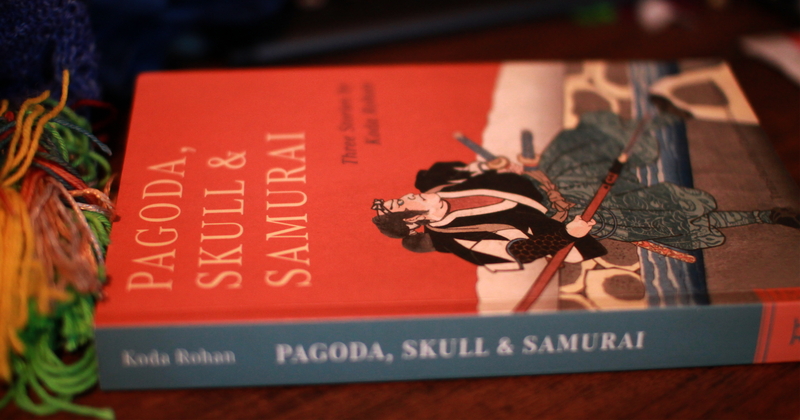 First the samurai is depicted as a purely evil and vain creature, while as the story progresses you start to like him. In general the stories were quite entertaining and thought-provoking. This entry was posted in Fiction, Japanese literature and tagged book review, books, Koda Rohan. Bookmark the permalink.